Add GAMA to your favourites! Come to GAMA Penang and join GOLD CHOICE DIP & WIN CONTEST! With every purchase of RM25 & above in a single receipt on GOLD CHOICE, Bi-No Zambai & FARMER FRESH products. You are entitled to DIP & WIN Cash voucher RM2, RM5 & RM10! Win prizes while you enjoy your coffee. GAMA Exclusive Privilege for G-Card Members! 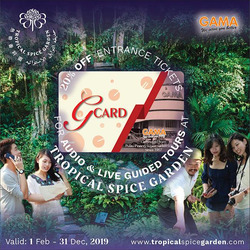 Enjoy 20% off Entrance Ticket at Tropical Spice Garden Visit Entopia until 31st December 2019 and present your G-Card when purchasing tickets to enjoy this amazing deal! Add Lazada to your favourites! 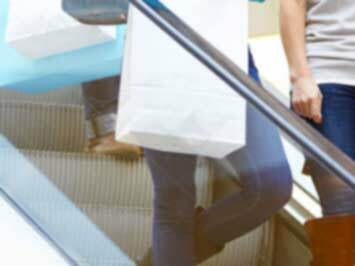 Add Lelong to your favourites! Do you want to receive more offers from GAMA by email?